Do GoldMoney And BullionVault Send Out 1099's? You are here: Home / Tax Issues / Do GoldMoney And BullionVault Send Out 1099’s? Do GoldMoney And BullionVault Send Out 1099’s? A lot of people ask me personally and on gold and silver forums if GoldMoney and BullionVault send out 1099’s on gold sales, silver sales and sales of any other precious metals in their accounts. Tax issues for U.S. taxpayers are a bit convoluted when it comes to gold and silver. This is probably due to the government’s hatred of hard money assets. The concern is that when you sell a financial asset, typically the brokerage or other financial firm will send you a 1099-B reporting the proceeds. And in the last few years, they actually seem to be ACCURATE! What you report on your Form 1040 BETTER agree with the information that the IRS has received from the financial firms or you can expect at minimum an audit letter asking you to explain. If it’s not correct, there is an easy way to fill in what is correct. When it comes to gold sales, silver sales or other precious metals held at either GoldMoney or BullionVault, you will NOT receive a 1099-B proceeds from them. The reason is that neither of these companies are U.S. based companies, so they could really care less. This is why you bought gold there originally, anyway, isn’t it, to get the gold offshore? Note: NOT to hide the assets from the government, that is not only very difficult (practically impossible) to do, but very dangerous and extremely foolish in our opinion. UPDATE: Here is a newer post with an infographic and video on what Gold and Silver sales are reportable on a 1099. UPDATE 2015: GoldMoney is launching a new service called BitGold where you can spend your Gold via internet transactions and even a debit card. This WILL BE a tax nightmare as every time you buy something with that debit card or service you are creating an individual line item on your Schedule D (US Taxpayers) or 1 very convoluted line item with an average cost at the least. While it sounds good to be able to buy things with your GoldMoney Gold, from a tax reporting standpoint we personally would not get near it with a 10 foot pole. If you need privacy, use cash. Otherwise pull out a credit card (not debit) that pays you cash back on the purchase. 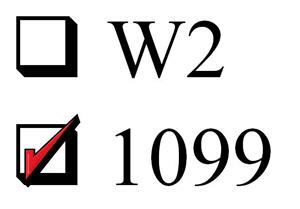 The reason you may want to sell Gold to a local dealer without triggering the need for a 1099 has nothing to do with your taxes. What it does have to do is with your privacy and safety. If the dealer has to fill out a 1099, he needs a bunch of personal information from you that he/she may not be able to keep private. Tell me, even if your local dealer is honest, is he/she an information security expert as well? Doubtful. There is no need to have your name, address and social security number in a paper ledger or computer system at the local bullion dealer who may eventually have that information compromised in a burglary or electronic hack. The lack of getting a 1099 for sales of gold and silver is not a reason not to include it on your tax return, we are NOT recommending tax evasion of any kind. Simply that you are on your own when it comes to cost basis and sales proceeds on your gold, silver and other precious metals held at GoldMoney, BullionVault and any other similar online Gold accounts that you may have now or in the future.